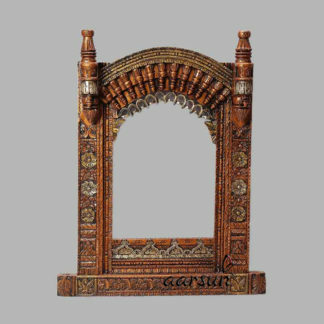 Aarsun brings to you this Traditional (matte finish) Designed and Hand carved Wooden Jharokha Frame (Mirror Frame) which can be placed as a Wall Decor with a Photograph in your drawing Room or with a Mirror. 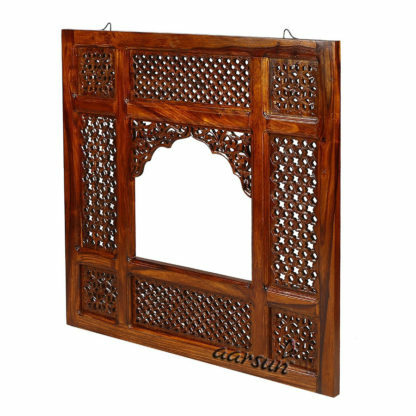 The Mirror Frame is made from solid wood and hand-polished in natural shade. Please note that as this is a handcrafted Product the size and shade may vary slightly. We have a wide range of designs available in Wooden Handicrafts items that can be customized as per your requirement. If you have any queries, you can contact us via Amazon Messaging by clicking on Sold and fulfilled by Aarsun Woods and on the next page , on the bottom right click on Contact the Seller. Most of the patterns are ready to ship designs. 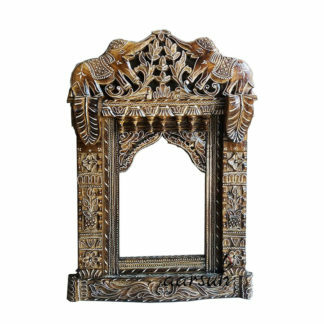 The customization as size, design and shade will be done as per your requirement as we are the manufacturers of Indian Wooden Handicrafts and Wood Furniture.